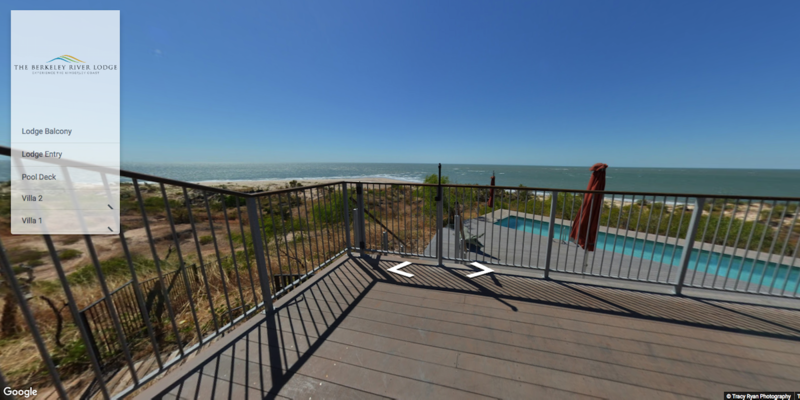 Google is evolving all the time and there are some exciting new developments for Google virtual tours. There have been a couple of new developments in the way your Google virtual tour can be used once it's in the Google maps listing. Now tours can be created for your website with a menu complete with your logo, showing various areas of your tour, which you can click on and go straight to. You can also view stats on who, when and where people viewed it from a stats link. See this example for the Berkeley River Lodge, on the gorgeous Kimberley coast, WA. For my existing clients and any businesses in the Northern Territory, if you would like to explore this option to enhance your google listing and website for your business, please contact us for more details.